Former Attorney General, Martin Amidu has filed a writ at the Supreme Court against the Attorney General, Isofoton S.A and the Ghanaian agent of Isofoton Mr. Anane-Agyei Forson. A statement issued by the former A-G on Thursday said he arrived at that decision to give notice to all patriotic and well meaning Ghanaians dedicated to the promotion of probity, accountability and transparency in Government the exercise of his right as stipulated under Articles 2 and 130 of the 1992 Constitution. The writ was filed on 24th July 2012. He further stated: "The announcement and threats issued to the general public on 7th July 2012 on the Newsfile programmme of Joyfm by the Government through the Deputy Minister for Information (Mr. Sam Okudzeto Ablakwa) that the Government was about to pay the balance of the alleged Isofoton S. A. judgment debt while the matter was still pending on Appeal is a clear sign that the Government is incapable of pursuing and protecting the public interest in this matter fairly and impartially." This statement is intended to give notice to all patriotic and well meaning Ghanaians dedicated to the promotion of probity, accountability and transparency in Government that I have as a citizen of Ghana exercised my right pursuant to Articles 2 and 130 of the 1992 Constitution and filed on 24th July 2012 a Writ No. J1/23/2012 and a Statement of Case as Plaintiff at the Supreme Court against: (1) the Attorney-General (2) Isofoton S. A. of Montalban,Madrid,Spain and (3) Mr. Anane-Agyei Forson, a Ghanaian citizen and agent of Isofoton S. A. The writ seeks nine declarations, including an interpretation of Article 181 of the Constitution. My main contention is that: “on a true and proper construction of Article 181(3) and (4) of the Constitution and Section 7 of the Loans Act, (Act 335) the laying before and approval on 1st August 2005 of the terms and conditions of the Second Financial Protocol between the Republic of Ghana and the Kingdom of Spain for an amount of sixty-five million Euro (€65,000,000) for the implementation of development projects and programmes in Ghana did not nullify the effect of Article 181(5) of the 1992 Constitution that mandates further laying before and approval of any specific international business or economic transaction to which the Government is a party, even if payment had to be made from the said loan approval by Parliament.” I have also challenged the conduct of the Government in agreeing to pay and making part payment for the alleged settlement of one million three hundred United States Dollars (US$1,300,000) and threatening to complete the unconstitutional payments. I have also raised the issue of the jurisdiction of the High Court to have entertained Isofoton S. A.’s Suits No. 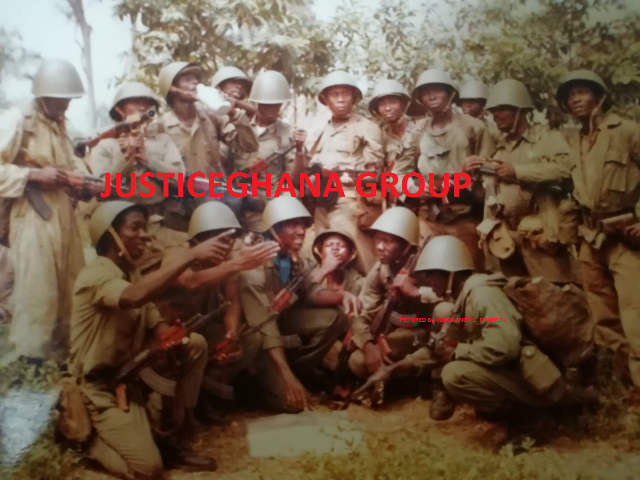 BC23/2008 AND BC24/2008 against theRepublicofGhanaon grounds of Isofoton’s lack of locus standi and a cause of action to commence the action in the first place because of the absence of any operative contract with the Government of Ghana. I have further asked for declarations against the conduct of Isofoton S. A. and Mr. Anane-Agyei Forson for making claims against the Government of Ghana when they knew that there was no operative contract with the Government of Ghana within the meaning of Article 181(5) of the 1992 Constitution. I finally also asked for consequential orders and directions from the Supreme Court to give effect to the reliefs sought by me. The foregoing summarizes the reliefs I am seeking from the Supreme Court. The announcement and threats issued to the general public on 7th July 2012 on the Newsfile programmme of Joyfm by the Government through the Deputy Minister for Information (Mr. Sam Okudzeto Ablakwa) that the Government was about to pay the balance of the alleged Isofoton S. A. judgment debt while the matter was still pending on Appeal is a clear sign that the Government is incapable of pursuing and protecting the public interest in this matter fairly and impartially. The pronouncement of the Deputy Minister for Information has since not been denied by the Attorney-General’s Department. This is in spite of the fact that I had challenged the moral authority of the Deputy Minister for Information (who had previously pleaded with me in vain to authorize payment of the balance to Isofoton S. A. without the knowledge of the Minister for Information) to speak for the Government on this matter. The assurance this Writ and Statement of Case gives to me and all patriotic Ghanaians interested in transparency and accountability is that the Government has ceased to have the power to dispose of this matter at the blind side of Ghanaians. The Supreme Court would have to make an authoritative pronouncement on the merits of this action before the Government can commit the patrimony of the nation to this transaction or recoup what it has unlawfully paid already. As a member of the NDC, I am firmly of the view that the NDC has an obligation to itself and the Government we all helped to bring into office to ensure that this matter is concluded in accordance with the NDC’s cherished objects and values and not on the basis of the political expediency of equalization. I have accordingly decided to bring this action in the Supreme Court to vindicate the principles and values that led me first into the 31st December Revolution and then into the NDC. I will not, after the publication of this statement giving notice of this action, argue this pending case at the Supreme Court in the court of the media or public opinion. I know that I have taken a leap by going to the Supreme Court with a public interest action and I also know that in such matters my wishes may not necessarily prevail in the end. In any event, I will have had the inherent satisfaction of having had my day in the Supreme Court after the Law Lords of the Court have finally and authoritatively spoken on the matter, whether I prevail or not in my point of view. I have had to delay making this statement until now to honour the memory of my late personal friend of several years and President of this dear Republic of Ghana whose untimely death we all mourn. May He Rest in Peace.